Welcome to my final entry on using Parse.com services with PhoneGap. I apologize for taking so long to get this entry out the door. Blame Germany. (I blame the Maß.) In this entry I’ll be wrapping things up and discussing what should be done to get the application to market. Both on the PhoneGap side as well as Parse. Let’s begin with the PhoneGap side. I mentioned that I was making use of PhoneGap Build to create applications out of my source code. In order to publish to the Android and iOS markets, you need certificates for both. Instructions for how to do that are beyond the scope of this blog entry, but you can find good documentation for both. The Android set up is relatively simple and can be done in about 5 minutes. For iOS you will need a developer account ($99) to even read the docs behind the link above. I find the iOS certificate process quite a bit more confusing than Android, but after doing it a few times, I’ve gotten it down to about a half hour process. The good news is that once you have created the certificates for both platforms, PhoneGap Build makes it super easy to use them. You simply upload the proper documents and then edit your project to ensure they point to them. Once you’ve done that, you can generate release builds just as you would any other build. Simply update your code and PhoneGap Build will do the hard work for you. 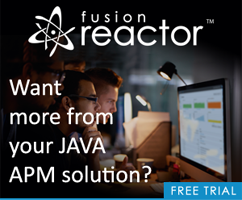 But most likely you want to provide more fine-grained control. Parse allows you to control access at the type and object level. 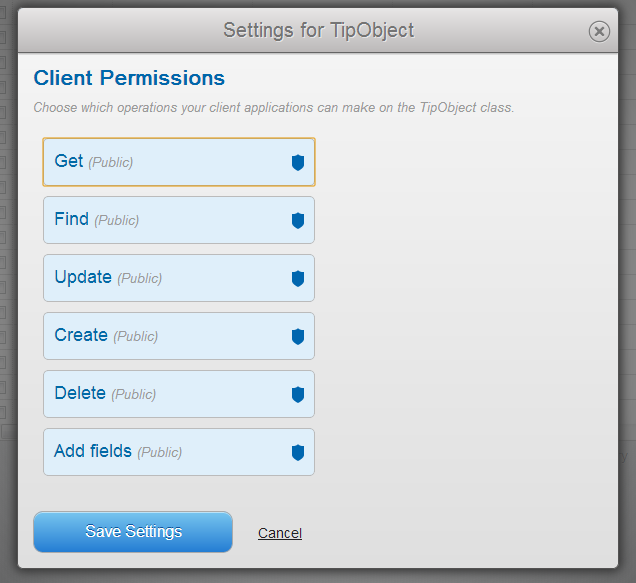 Here is a screen shot of the permissions screen for the TipObject. As you can see, you have incredible control over your data and how people will be able to interact with it. I disabled both Delete and Add Fields. But you have many more options here. 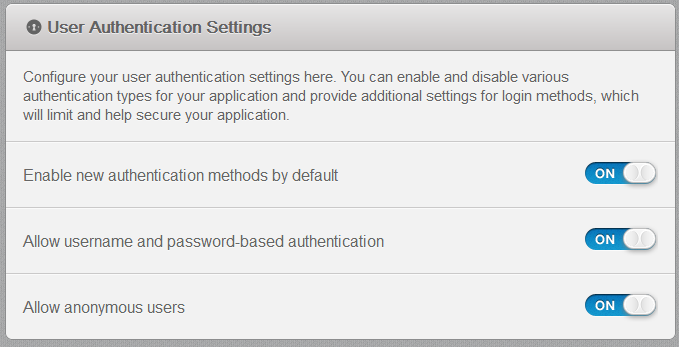 You can assign users and roles to specific permissions based on whatever your application’s needs are. 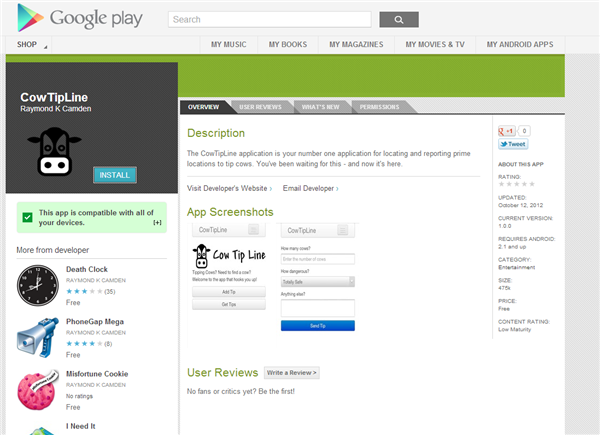 So - I actually did submit my application to both the Google app store and iOS. Unfortunately, Apple turned me down. Why? We found that your app encourages fraudulent or reckless activity, which is not in compliance with the App Store Review Guidelines. In all fairness, they’re probably right. Most cow tipping would probably involve a bit of trespassing, which is, technically, against the law. Luckily Google ain’t a prude like those fellows over at Apple! You can download the app right now if you’re really, really into actually tipping cows. So - that’s the end of this series. I do plan on doing more blog posts though. Specifically, I’d like to demonstrate how to connect PhoneGap/Parse.com apps to Facebook. I imagine that would be of interest to folks. I’m also open to any suggestions about what topics to cover. Just let me know!